And where has the journey taken you so far? “I’ve been fortunate to deal with some great horses and people. I’ve tended to horses like The Phantom, The Phantom Chance and Tie The Knot to name a few while I have bought some good horses along the way. I was involved in the purchase of horses of the calibre of Let’s Elope, Richfield Lady, Weekend Delight and Shiva’s Revenge. Of course, Let’s Elope and Shiva’s Revenge quinelled the 1991 Cup and we might have had the trifecta but that Weekend Delight bled. More recently I’ve dealt with the likes of Jameka, Srikandi, Mosheen and Azkadellia. Around the time Let’s Elope was cutting a swathe through the top races in the land you bought Wyndholm Park. It’s fair to say the farm’s current focus isn’t on churning out precocious types for yearling sales. “The farm’s “raison d’étre” is to give breeders who want to own and race their own horses a variety of stallions at prices that make commercial sense. The commercialisation of the stallion market, and subsequently the yearling market, has created an imbalance where few can consistently make a profit. My attitude is there are some really good horses out there at realistic fees, they just need to supported. “My philosophy is if someone has the right mare and the patience required of an owner/breeder then we probably have a stallion that will get you a horse that will win races and can have some fun with. These are the people the industry needs to attract and retain for its long-term existence. Those looking for a quick return on a two-year-old are the ones more likely to get burnt and leave the game as quick as they came. “Victoria has moved to program races for more mature horses which I think is a great initiative, but in New South Wales the lure of the glamour of the precocious type drives programming geared to two-year-olds. Given a two-year-old is probably the equivalent of a 14-year-old human the industry pins too much of its focus on the performances of teenagers rather than the grown adult, in the latter instance say a five-year-old horse. To the industry’s detriment rarely does the success of a five-year-old add value to his stud fee such is the fixation with juvenile racing and the quick profit. Do you think the Victorian model will survive or will the commercial realities of the market eventually swamp what Victoria is trying to achieve? “No, I think it will survive. Over time the balance will shift as those owners that focus on the quick return will at some stage get sick of it, the numbers just aren’t there. Going back to the Wyndholm Park roster, its small but diverse mix is led by Rebel Raider. Standing a Victoria Derby winner, particularly one that wins at 100/1, is always a tough gig, why did you take him on? I see he covered just nineteen mares in his first season in 2011 but then jumped to 80 next season and has been serving commercial numbers ever since. Was there a reason for the slow start? get sent mares that have spent the Spring with other stallions without success and the owners want one last shot at getting the mare in foal. He just nails them first time. He’s just fantastic. “And on the track we are just getting to see the sort of results we had hoped for. Leon McDonald and Andrew Gluyas have put great faith in the horse and out of their 70 or so winners for the season in Adelaide, at last count 23 of those were by Rebel Raider. Leon and Andrew sent Pretty Punk down to Tasmania this year and won the Group 3 Hobart Cup and had a third in the Launceston Cup with her. And he has Crackerjack King as a barn mate. What did you see in the grey? “It was a similar story to Rebel Raider in that we only got him after he had a first season where he wasn’t well patronised. But I liked what I saw in the flesh and on the page. “Gary Chittick from Waikato Stud once told me “it doesn’t matter whether a stallion is bred to run 5 furlongs or two miles it must have speed” and I read where David Hayes had been forced to work “Cracker” with his sprinters as his stayers couldn’t keep up with him. Interestingly his record shows he never started in a race at shorter than 1800 metres so we will never know if he could have had sprinter’s speed. “Then you only have to look at his pedigree to see he has class. His dam has to be one of the world’s leading broodmares. How few mares are there that can produce five individual Stakes winners, three of them Gr.1 winners. He was hardy, travelled the world to race and acclimatised quickly to our conditions when third in the Underwood Stakes-Gr.1. 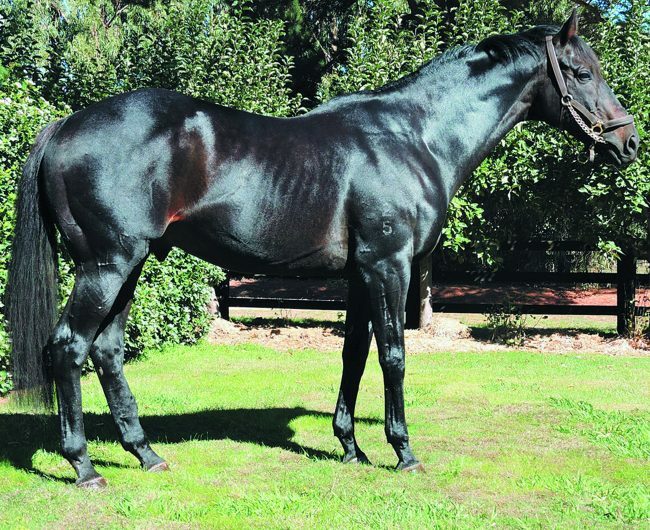 And Shamardal’s stock have done a great job in Australia with the likes of Faint Perfume and Puissance De Lune and now he is showing he is a sire of sires with Lope De Vega getting recent Gr.1 Santa Ana Lane. Your third stallion Sports Edition certainly isn’t in the same mould as your two stayers. “No and we might not have gotten him if he hadn’t broken down as a two-year-old. At his first start he beat all but a Gr.1 winner in Almalad, then he won in Listed company at his next start before breaking down. “He’s an imposing type and we are watching what the market thinks of the young sons of Northern Meteor. Zoustar’s early results suggest he, for one, is going to make it so it is nice to be able to offer an inexpensive stallion by the sire. Like Rebel Raider and “Cracker”, Sports Edition has pedigree as he’s a brother to a Gr.1 winner in Amanpour and a half-brother to the dam of Rapper Dragon who was so revered in Hong Kong. The good thing with him is we can recommend him to owners whose mare need a bit of speed in the pedigree. “Definitely. In general the cost of buying stallions to stand in New South Wales and northern Victoria is ridiculous and that is reflected in the fees at which horses have to stand at to cover the stud’s outlay. That then eats into any return a breeder might get on their stock and of course increases the risk of a loss. Whereas the rest of Victoria has a broad range of horses standing at attractive service fees all of which get to run for the same prizemoney, and across the board these lesser-fee stallions still perform pretty well. Are there other aspects of the industry that you think need attention? “I’d like to fix the Stud Book! 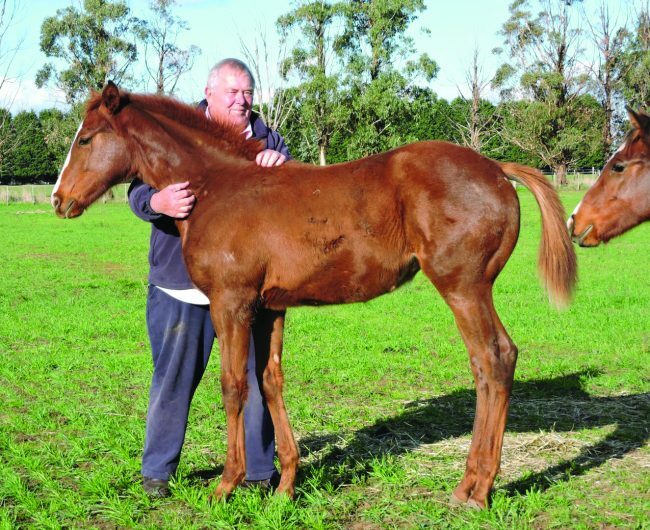 Most small-time breeders have no idea of the regulations surrounding the registration of a foal. For the first few months they’ll just be enjoying seeing their pride and joy grow and unless they are guided by a stud that has a band of support staff, like secretaries, to point them in the right direction, then they run the risk of being penalised for registering late. The regulations around movement of horses are the same. I’m in the industry and if I can’t grasp them how is the hobbyist expected to stay on top of matters.